Sardar Sarovar Narmada Nigam Limited officials said land has been finalised about 4 km from the statue for states to construct guesthouses and canteens - on the lines of different state bhavans in New Delhi. 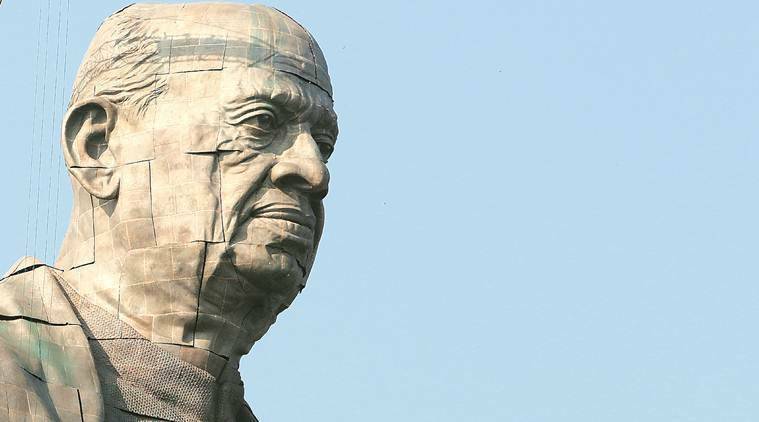 With days to go for the inauguration of the 182-metre statue of Sardar Vallabhbhai Patel in Narmada district of Gujarat on October 31, Chief Minister Vijay Rupani has invited all states to join hands in unity – as envisaged by Patel – by constructing state bhavans to boost tourism of the site at Kevadia Colony. 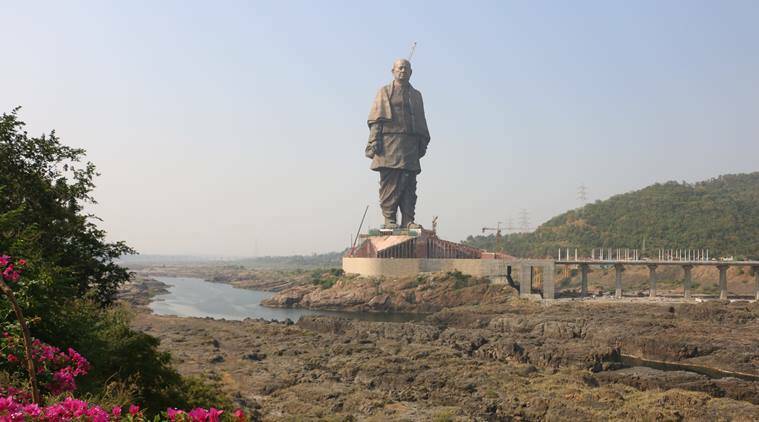 Sardar Sarovar Narmada Nigam Limited (SSNNL) officials said land has been finalised about 4 km from the statue for states to construct guesthouses and canteens – on the lines of different state bhavans in New Delhi. Gujarat Chief Secretary J N Singh said letters from the Chief Minister were sent to all states last week, and Uttar Pradesh and Nagaland have already accepted the proposal and confirmed intention to construct guesthouses in Kevadia Colony. “Other states are considering the proposal,” he told The Indian Express. 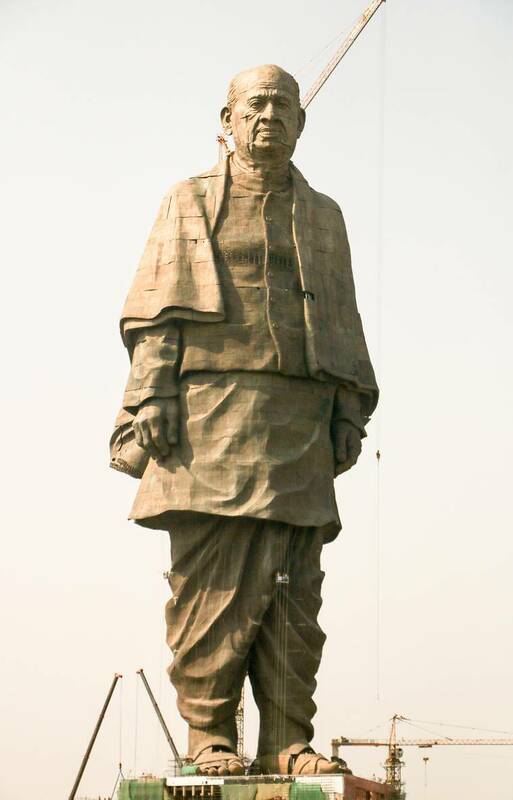 On Thursday, the engineering teams completed construction of the Statue of Unity’s head and put up the bronze facade of the face, thus finishing the exterior work. Work on its interior is going on. A tent city has been set up in Kevadia, about 90 km southwest of Vadodara, which will be a permanent feature for tourists. Sources said Prime Minister Narendra Modi will inaugurate the tent city on October 31, Sardar Patel’s birth anniversary. This year’s annual conference of directors-general of police (DGPs) is also slated to be held in Kevadia in the presence of National Security Adviser Ajit Doval. In 2016, Prime Minister Modi had hosted the DGP conference at White Rann, in Gujarat’s Kutch district, during Rannotsav, the annual desert festival in the Little Rann of Kutch. He said the Prime Minister is likely to make an announcement about this during the statue’s inauguration. Besides guesthouses, states will also have space to display handicraft from their regions, officials said. Singh said the idea is to not have any boundary walls between the premises of different state bhavans. “They will be united, in one compound. We are prepared to welcome about 25 states. They can have about 15 rooms each. We can also construct one structure with portions allotted to different states on the lines of Shrestha Bharat Bhavan (near the statue), depending on how many states express interest,” Singh said. An SSNNL official said building the last 50 metres of the statue was most challenging. “There are no concrete cores above the level of 157 metres. 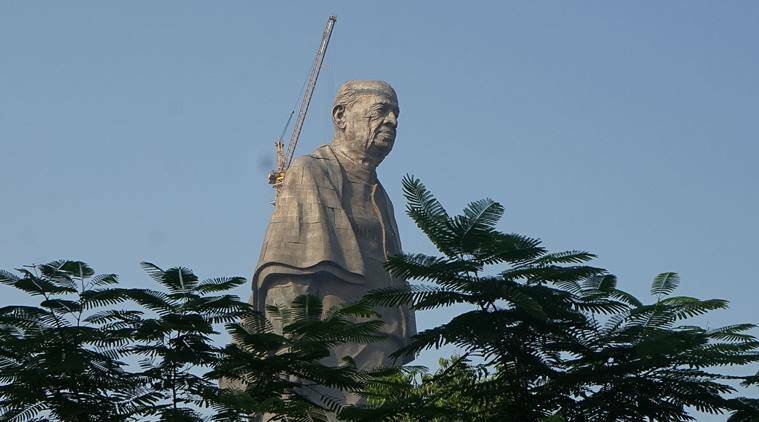 Given wind velocity in the region, the construction of the statue, which is heavy at the top and slender at base, is an engineering marvel,” the official said.